The coconut has hundreds of uses. The white, fleshy part of the seed is edible and used fresh or dried in cooking.The cavity is filled with 'coconut water' containing sugars, fibre, proteins, anti-oxidants, vitamins and minerals, which provide excellent isotonic electrolyte balance, and an exceptional nutritional food source, which is why it is used as a refreshing drink throughout the humid tropics. It is also used in the making of the gelatinous dessert nata de coco. 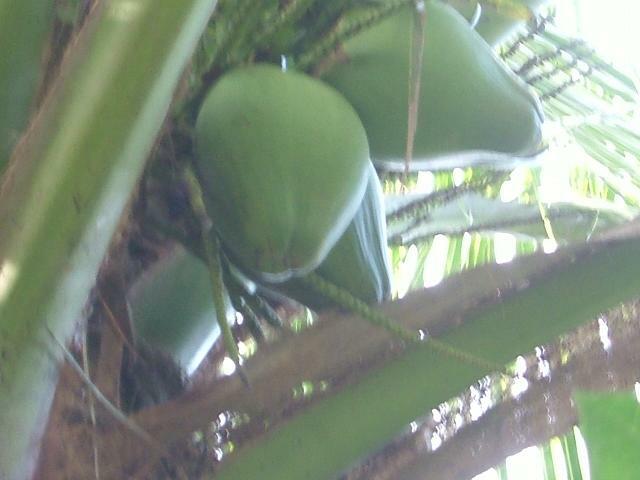 Mature fruits have significantly less liquid than young immature coconuts. Coconut water is sterile until the coconut is opened (unless the coconut is spoiled).Sport fruits are also harvested, primarily in the Philippines, where they are known as macapuno.Coconut milk (which is approximately 17% fat) is made by processing grated coconut with hot water or hot milk which extracts the oil and aromatic compounds from the fibre, and should not be confused with the juice found naturally in young coconuts, called coconut water or coconut juice.Coconut cream is what rises to the top when coconut milk is refrigerated and left to set.The leftover fibre from coconut milk production is used as livestock feed.The sap derived from incising the flower clusters of the coconut is fermented to produce palm wine, also known as 'toddy' or, in the Philippines, tuba. The sap can also be reduced by boiling to create a sweet syrup or candy. All parts of the plant are edible, but the fresh leaves and the dried seeds are the most commonly used in cooking. The leaves have a very different taste from the seeds, similar to parsley but 'juicier' and with citrus-like overtones. Chopped coriander leaves are also used as a garnish on cooked dishes such as dal and many curries. As heat diminishes their flavour quickly, coriander leaves are often used raw or added to the dish right before serving. 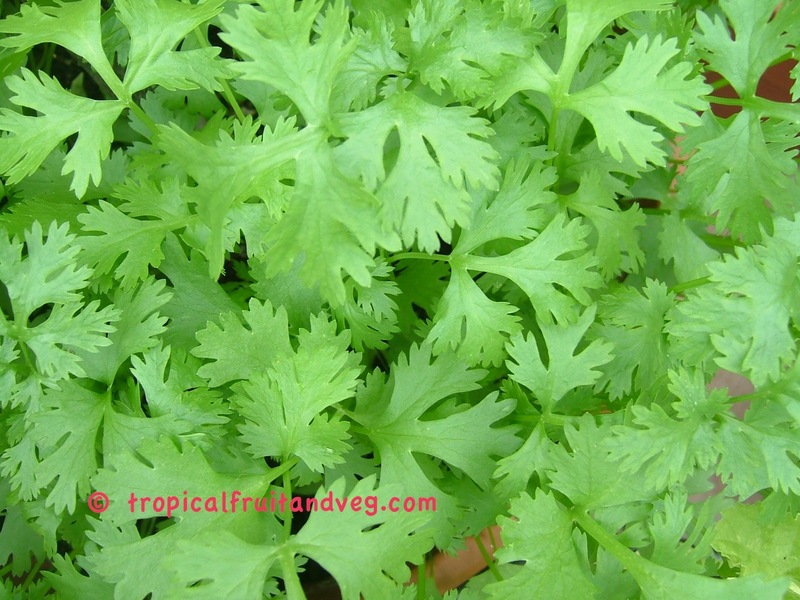 The fresh coriander herb is best stored in the refrigerator in airtight containers. The leaves do not keep well and should be eaten quickly, as they lose their aroma when dried or frozen. Dried coriander seeds are crushed and used in curry dishes as well as many middle eastern dishes. Coriander seeds are also used in brewing certain styles of beer, particularly some Belgian wheat beers. The coriander seeds are typically used in conjunction with orange peel to add a citrus character to these styles of beer. Coriander roots are used in a variety of oriental cuisine most commonly in Thai dishes. 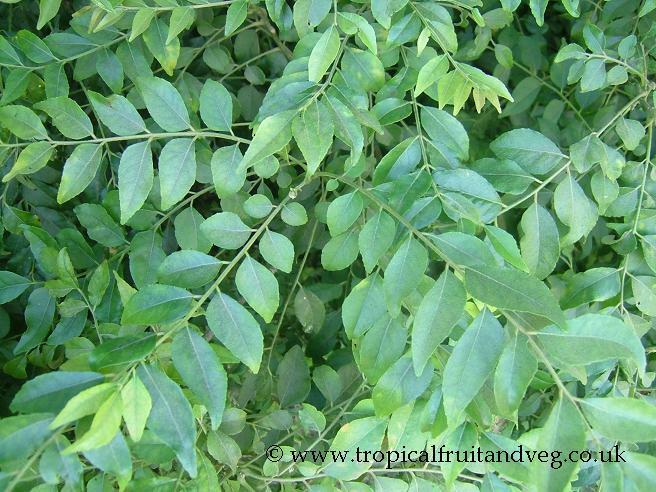 Curry leaves are highly aromatic and are commonly used as seasoning in Indian and Sri Lankan cooking, much like bay leaves and especially in curries with fish or coconut milk. In their fresh form they have a short shelf life and may be stored in a freezer for up to a week; they are also available dried, although the aroma is inferior. 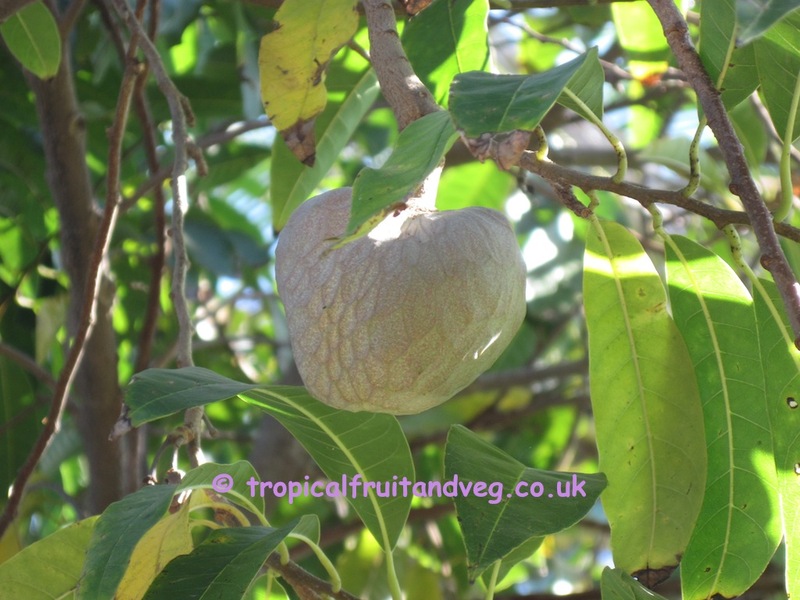 The fruit is eaten fresh or mixed in drinks but is not as sweet or as popular as its close relative sugar apple. Dry dates are eaten out of hand as a fruit, however, they are mostly eaten after being left to over-ripen until they become soft, sticky and dark brown in colour and are used in many sweet and savoury dishes. 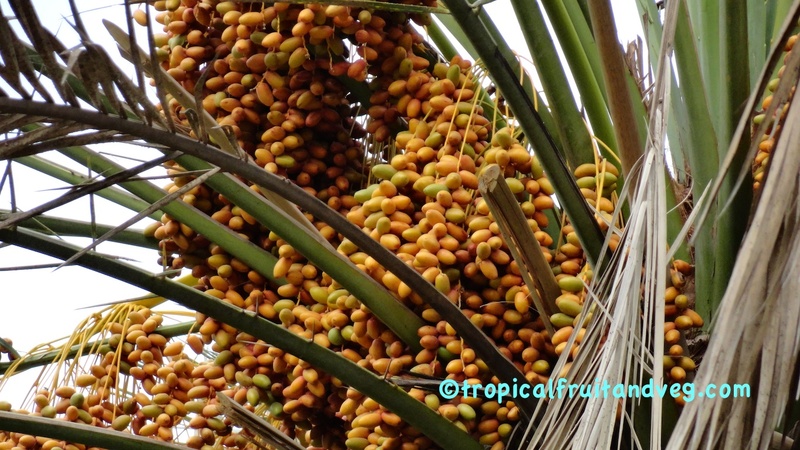 Dates can also be used to make paste, spread, powder (date sugar), jam, jelly, juice, syrup, vinegar or alcohol. It is sometimes used to make Jaggery or Gur.